I mean, I’m sure there are other rooms you could slather with Pottery Barn’s five-years-too-late collection of Harry Potter items. 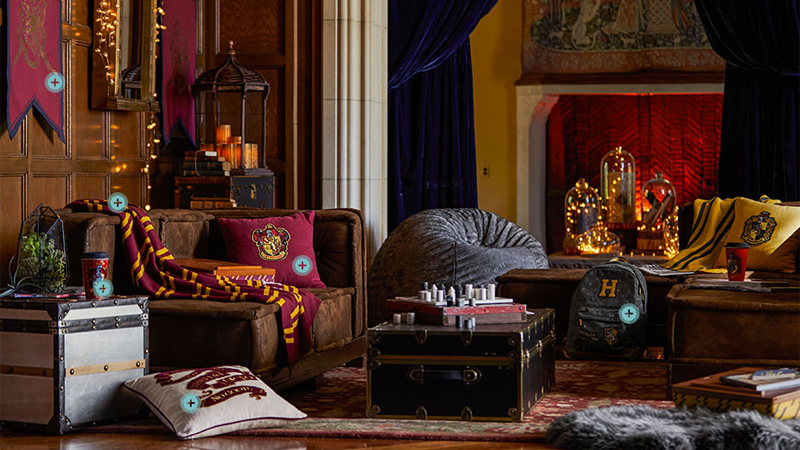 But one of their suggested room ideas is for a Gryffindor cushy lounge, so obviously that’s all we can think about now. Sadly I’m not seeing a listing for the gigantic, ceiling-hung owl you can see in the trailer for the collection below. Which is a shame, because I am of the utmost belief that a room can only be tied together by the presence of a gigantic, ceiling-hung owl. You’ll have to make do with a Hedwig lamp, I suppose. You can see even more—oh God so many—Harry Potter items from the collection at the link below.